Alma M. Hammond, 90 years old, passed away in Rupert, Idaho on October 21, 2018. 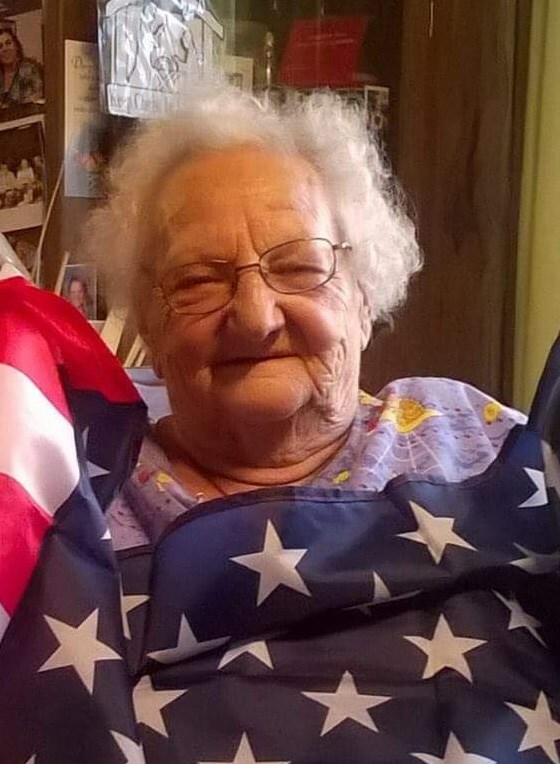 She was born in Rupert on July 4, 1928 and has lived here her entire life. Alma graduated from high school in 1946. She was a member of the St. Nicholas Catholic Church and she loved everyone. She enjoyed family gatherings, time with friends, holidays and traveling. Alma is survived by her two sons, Mazel and Mike Hammond and her daughter, Mary Henderson. She is also survived by one brother, one sister and numerous grandchildren and great grandchildren. She was preceded in death by her parents, two husbands, two sons, two daughters, one daughter-in-law, five siblings and one granddaughter. The family will greet friends from 6:00 until 8:00 p.m. on Thursday, October 25, 2018 at the St. Nicholas Catholic Church in Rupert. Recitation of the Rosary will take place at 7:30 p.m. A Memorial Mass will be held at 11:00 a.m. on Friday, October 26, 2018 at the St. Nicholas Catholic Church. Arrangements are under the care and direction of Joel Heward Hansen Mortuary in Rupert. In lieu of flowers, please send donations to St. Nicholas Catholic School.